Oh boy, those jerseys. I kinda love them. I’d wear vegetables sooner than I’d eat them. But the jerseys scare me a little bit. Like I’m going to get lost in an asparagus field while being chased by the guy from Scream. I have issues. But just so you don’t think the Ports have simply picked a vegetable out of thin air to get everyone to eat healthy, Stockton, CA is actually the asparagus capital of the world, and have worn asparagus themed jerseys before. 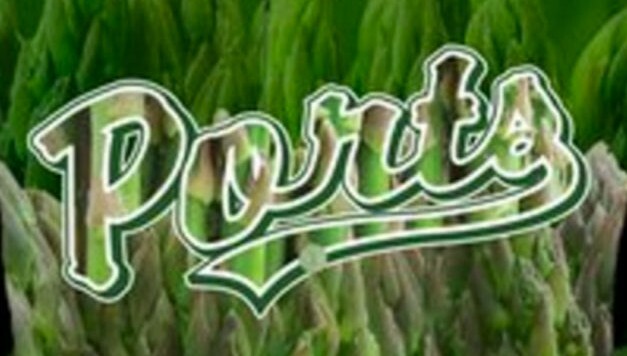 Stockton also has an asparagus festival every year (April 15-17 this year … get your tickets.) So these jerseys are a nod to culture, history, and healthy eating.